With more bikes than people, is this a good move for the country? In brief: The Netherlands is one of many countries where using a mobile phone while driving is illegal. Next year, this ban will be extended to include the nation’s 23 million bicycles. A 2002 law makes it illegal for drivers of cars and trucks in the Netherlands to use mobile handsets that aren’t in hands-free mode. Those who ignore this rule face a fine of 230 Euros (around $266) if caught. 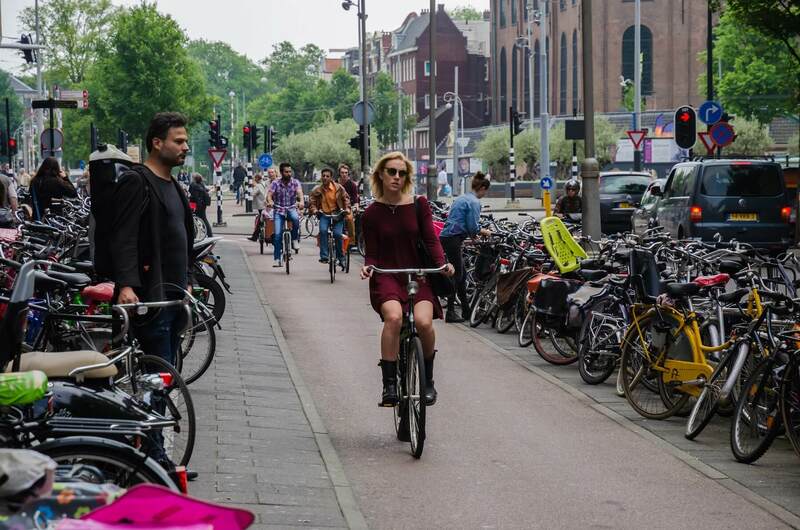 Dutch transport minister Cora van Nieuwenhuizen said the draft legislation, set to come into effect next July, will make it an offense "to hold a mobile electronic device while driving all vehicles," including bicycles, which are specifically mentioned in the new law. Nieuwenhuizen says the current social media age, combined with unlimited mobile data plans, have changed how people use their smartphones and the time they spend on them. According to the Transport Ministry, one in three 12 to 21-year-olds use their phones while cycling. It also says that handsets play a part in around 20 percent of bicycle accidents involving under 25s. Last year, the Netherlands followed Germany and Australia by installing traffic lights into sidewalks to prevent smartphone-using pedestrians from wandering into busy roads.